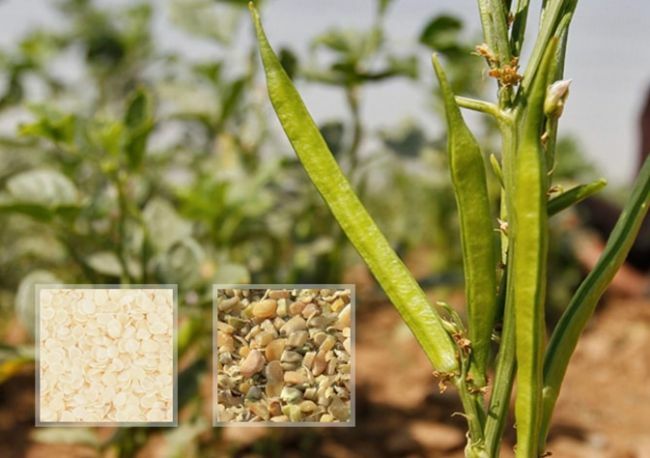 Home » Posts » What is Guar Gum? 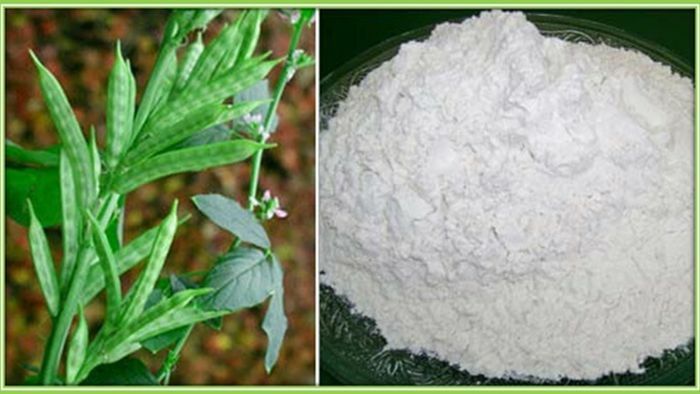 Guar gum is a galactomannan polysaccharide that is extracted from guar beans. This substance has thickening and stabilizing properties that are often used in industries like food, textile, paper, and others. The guar seeds are dehusked, then hydrated, milled and lastly they are screened to determine for which application they will be used. Guar gum is normally presented as an off-white powder. Guar beans are mostly found in India, Pakistan, Australia, Africa, and the U.S. 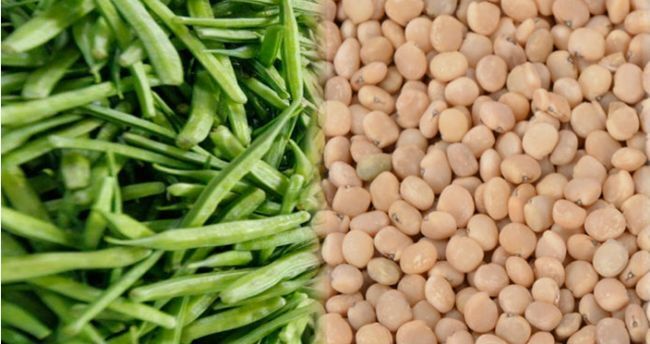 The largest producer is India, where approximately 2.5-3 million tons of guar are made per year; this constitutes about 80% of the entire world production. In the U.S., production of guar is estimated to be around 4,600 to 14,000 tonnes in the last 5 years. Chemically speaking, guar gum is a polysaccharide that is made up of galactose and mannose. It is able to withstand up to 176°F for five minutes before breaking down. The backbone of guar gum is a linear chain of β 1,4-linked mannose residues, where galactose residues are found at every second mannose, forming short branches. These short branches make it more soluble than other gums. Guar gum doesn’t gel on its own, but when cross-linked with borax or calcium, it will. Under extreme pH levels and temperature, it will degrade, strong acids will cause it to lose viscosity and will cause hydrolysis. It is also insoluble in most hydrocarbon solvents. It is often used as a thickening agent in foods and medicines, and since it is gluten-free, it is also used as a replacement of wheat flour in baked products. It has been shown to provide health benefits because it lowers blood glucose levels and reduces serum cholesterol. Also for those that want to lose weight, ingesting it will make the person feel “full” sooner, because of its water absorption properties. It is also used in hydraulic fracturing, as an emulsifier and a stabilizer as well; it prevents oil droplets from coalescing and it also prevents solid particles from separating and/or settling. Textile industry: in sizing printing and finishing. Paper industry: it gives for a better sheet formation, folding and it provides a denser surface for printing. Explosives: it is used as a waterproofing agent. Pharmaceutical industry: it is found as the main ingredient in some bulk-forming laxatives, or as a binder or disintegrator in tablets. Cosmetics and toiletries industries: as a thickener in toothpaste, also in shampoos as a conditioner. In health and medicine, it is also used for its known benefits. As a laxative, it has been proven to be very effective because it’s a water-soluble fiber, so it promotes regular bowel movements and help with constipation and other chronic bowel diseases like Crohn’s disease, colitis, diverticulosis, and irritable bowel syndrome. It has been shown to reduce serum cholesterol levels significantly after ingesting guar gum; this is thought to be the result of its high soluble fiber content. It is also of great use in weight loss and diabetic diets. Since it is not easily digested, it is used as a filler, making the person feel full faster and thus eats less amount and slows down the entire digestion of a meal. This results in a lower glycemic index.